Loren Claypool creates "genre-indifferent instrumental guitar music" with acoustic, electric, baritone electric, fretless electric, lap steel, baritone lap steel, touch, and synthesizer guitars. 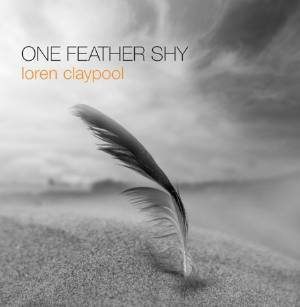 His album "One Feather Shy" crosses musical boundaries with little regard for convention. Sometimes delicate, sometimes aggressive, the music is textural, visual, thoughtful, and emotional. Moving from spaghetti western to ambient, from progressive to melodic, from sparse arrangements to densely orchestrated compositions, each song is fascinating on its own, but clearly an integral part of the larger work. In addition to his solo work, Loren is a member of Guitar Circle of Chicago, a group of musicians committed to working with the principles of Guitar Craft as a "way of doing things." Guitar Circle of Chicago is featured on one of the songs on "One Feather Shy". He is also a contributing cohort to Lee Fletcher's [halo] "Covers Venture" project. Loren co-scored and recorded the soundtrack for the award-winning independent film "Lost Love".